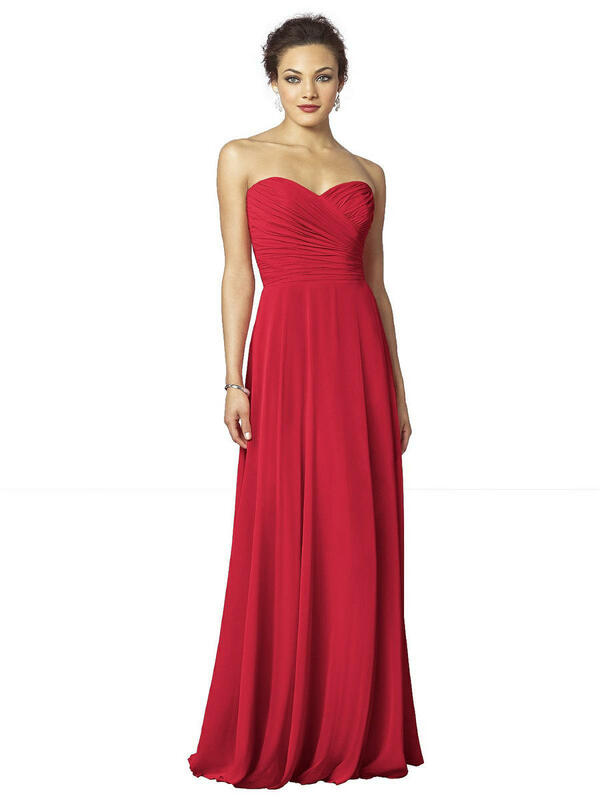 Strapless full length lux chiffon dress has pretty draped bodice and full skirt. 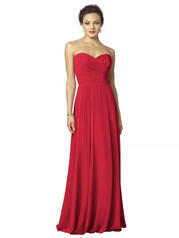 Optional spaghetti straps included. Sizes available: 00-30W.